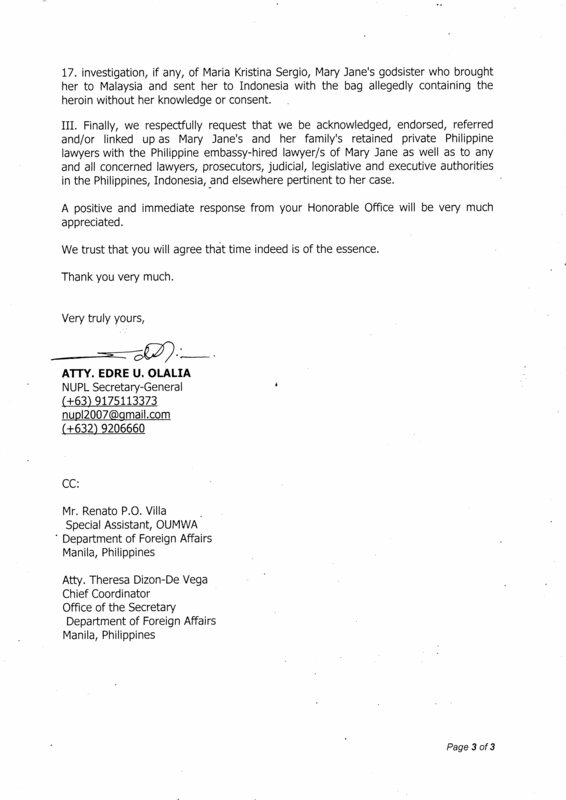 Global alliance of overseas Filipinos Migrante International today criticized the Department of Foreign Affairs (DFA) for “being the primary cause of delay for much-needed urgent legal aid” for Mary Jane Veloso. 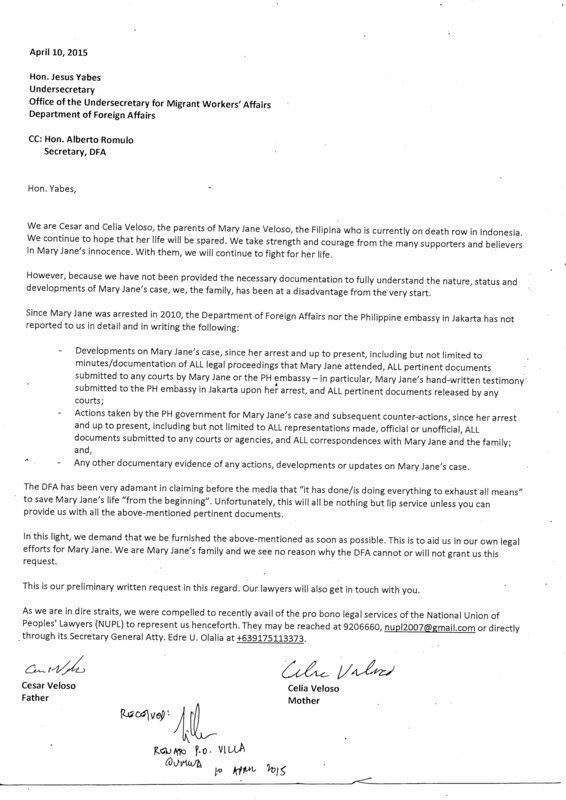 Nine days before the Indonesian government is scheduled to carry out Mary Jane’s death sentence, Garry Martinez, chairperson of Migrante, bared how the DFA had so far failed to provide the Veloso family and their private Philippine legal team with pertinent documents, endorsements and references urgently needed to fast-track possible legal actions to appeal Mary Jane’s case. 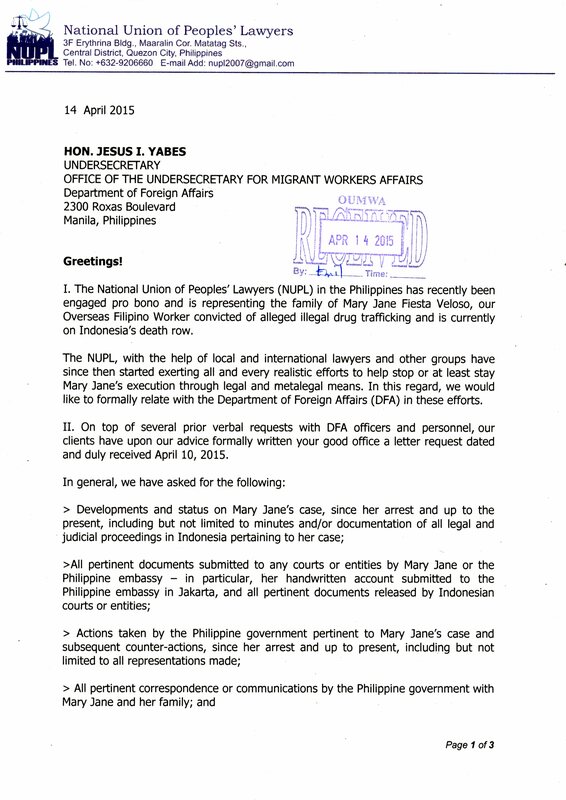 The Veloso family had recently availed of the pro bono legal services of the National Union of Peoples’ Lawyers (NUPL) to represent them and to assist in Mary Jane’s case in Indonesia as her retained Philippine lawyers. The Indonesian government had earlier announced that it will postpone all executions until after the conclusion of the Bandung Conference on April 24. It also announced that Pres. Joko Widodo is determined to commence with Mary Jane’s execution within April. 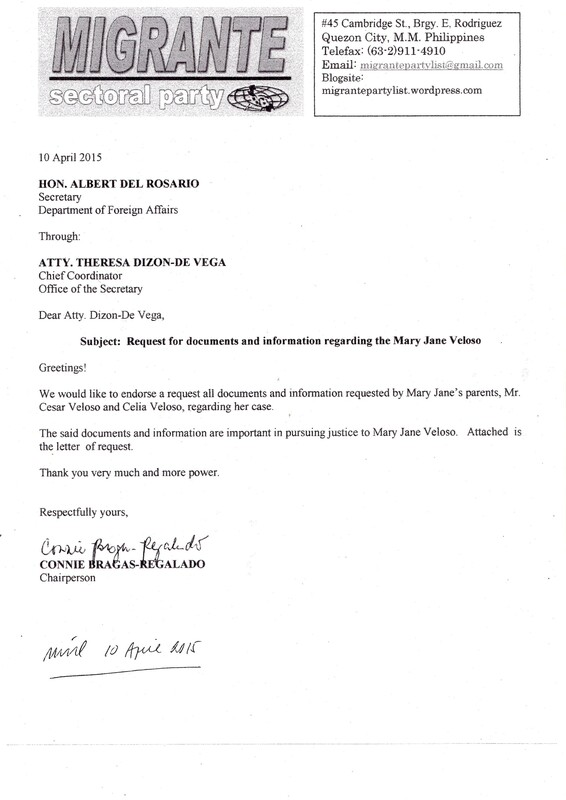 “However, since then, the DFA had unfortunately just provided the family and their lawyers a very general four-page timeline, and the legal team with a perfunctory and rather hapless response that ‘all documents are in the hands of Mary Jane’s Indonesian counsel and are all in Bahasa’. This is very unfortunate and very, very frustrating. We are literally racing against time yet it appears that the DFA is going through the usual flaccid motions and unnecessary red tape despite the very obvious urgency of the situation,” Martinez said. 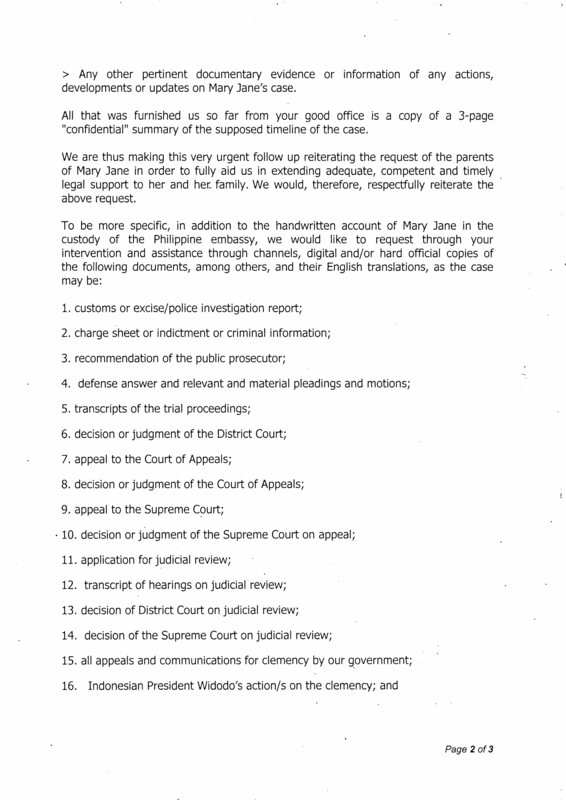 Martinez added that until now, Mary Jane’s alleged recruiter and trafficker, Kristina “Tintin” Sergio, has not even been invited for questioning, much less apprehended or charged with anything pertaining her involvement in Mary Jane’s case. 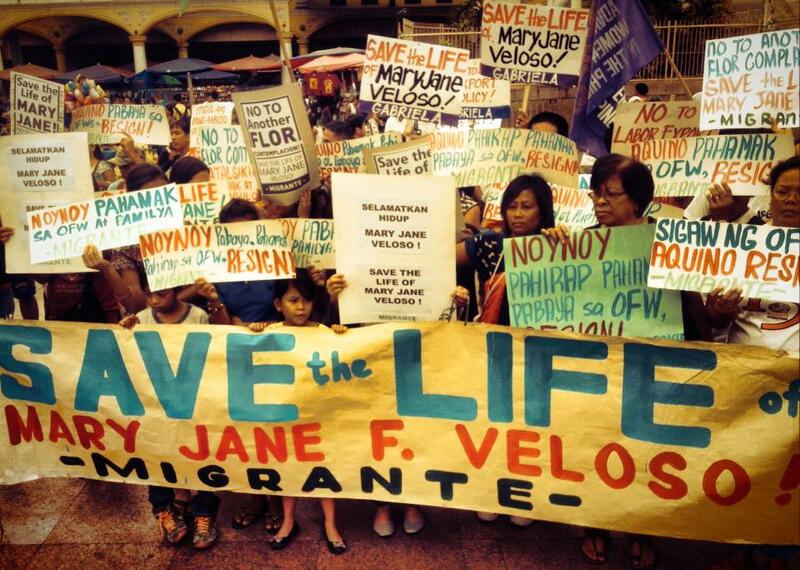 “Veloso is a victim. She should not be executed. She was not only a victim of international drug trafficking syndicates but also of government neglect.” Martinez called on all families of Filipinos on death row to “come out now”. He said that other OFWs on death row, such as Dondon Lanuza, Marilou Ranario and Cecilia Alcaraz, were granted clemency after appeals to save their lives garnered enough national and international support.